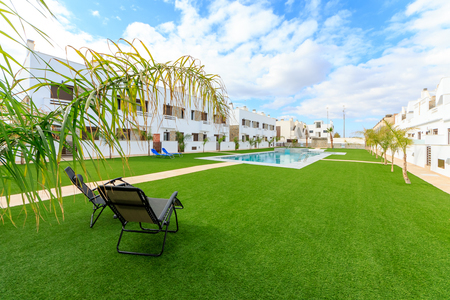 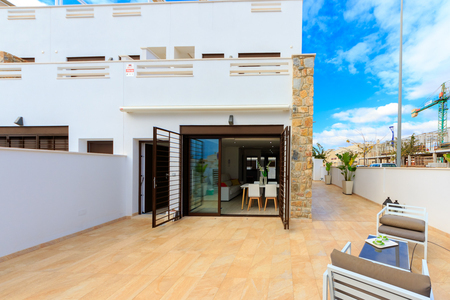 These brand new 3 bedroom, 2 bathroom townhouses with private solarium are only a short walk to the beaches of Torre de la Horadada in the Residencial Porto Marina IV development. 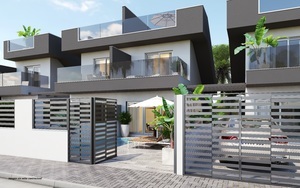 The properties comprise of a spacious living room/dining area, an open plan kitchen, double bedroom and bathroom to the ground floor, with terraces to the front and rear. 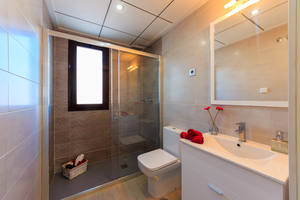 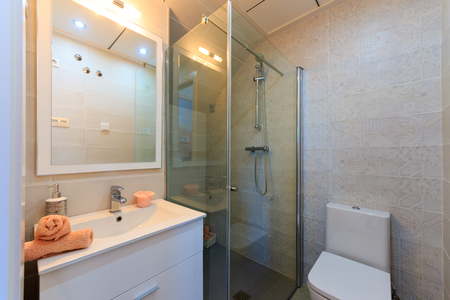 Upstairs you will find two further bedrooms and a family bathroom. A balcony off the hallway leads up to the large private roof solarium, where the sun can be enjoyed throughout the day. 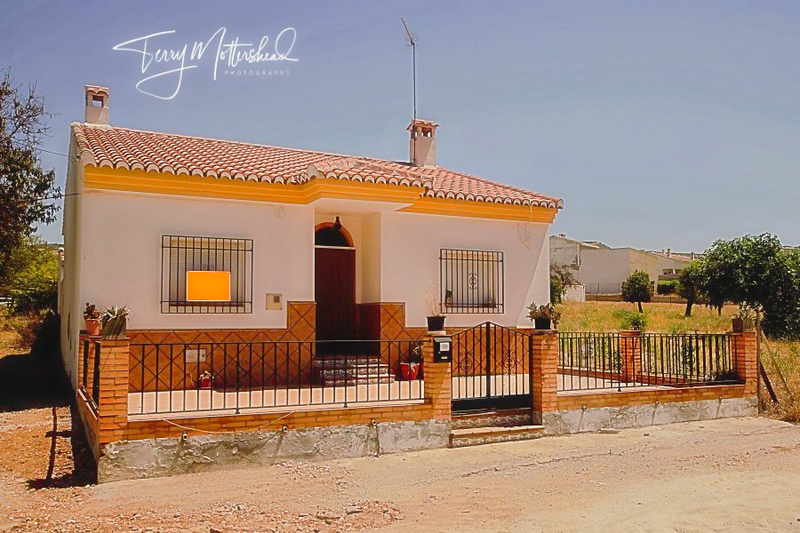 These well appointed duplexes, close to the sea, offer excellent access to both local amenities and the rest of the Costa Blanca. 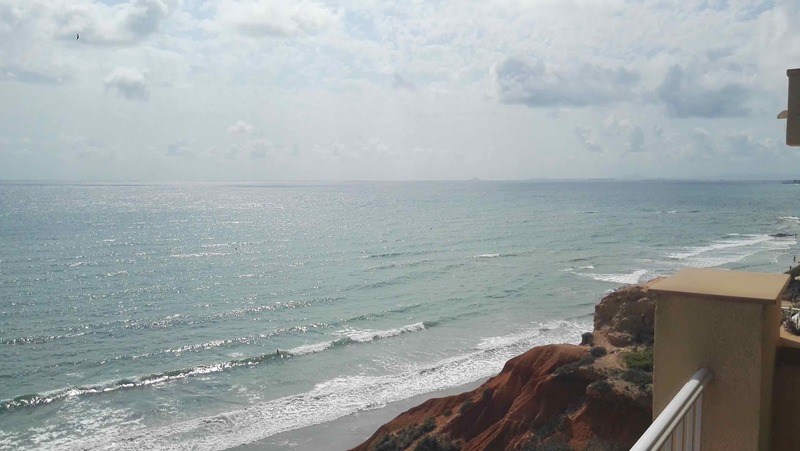 Torre de la Horadada, with it´s lovely beaches and marina, is well placed to take advantage of the Costa Blanca as there are excellent road links via to airports, towns, shopping centres and leisure activities. 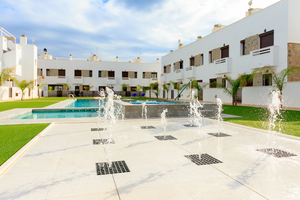 The complex is only a short walk to the sea, restaurants and shops. 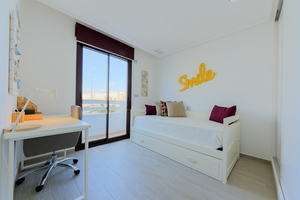 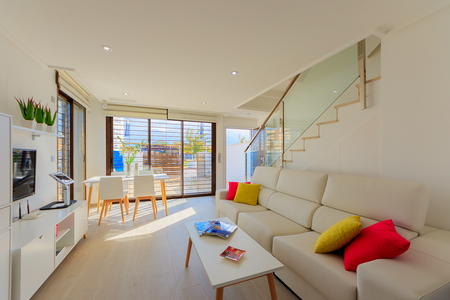 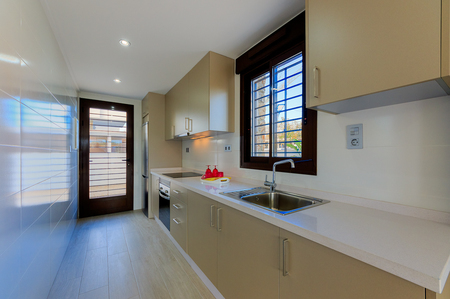 These brand new, modern design, 3 bedroom 3 bathroom townhouses are located in Torre de la Horadada on a small development of only 3 and only a 150 metres from the beautiful Higericas beach. 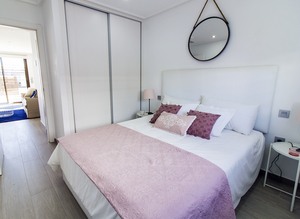 The properties comprise of an open plan kitchen, lounge/dining area with patio doors leading out to the private front garden, a double bedroom with access to the rear garden with swimming pool and a guest bathroom. 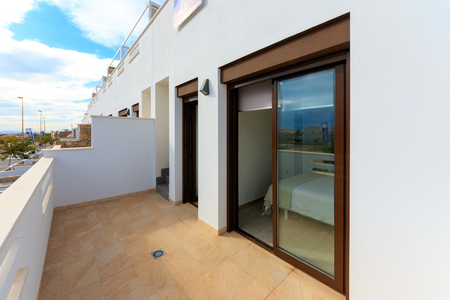 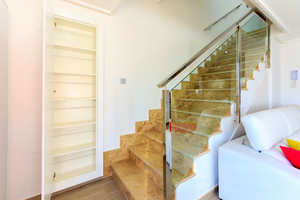 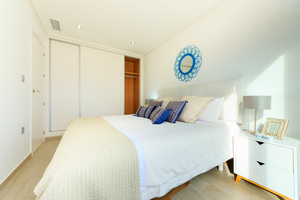 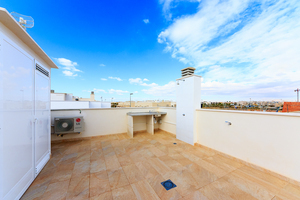 The second floor has a master bedroom with en-suite and access to a private sun terrace, another double bedroom, a guest bathroom and a staircase which takes you up to a private 47m² rooftop solarium. 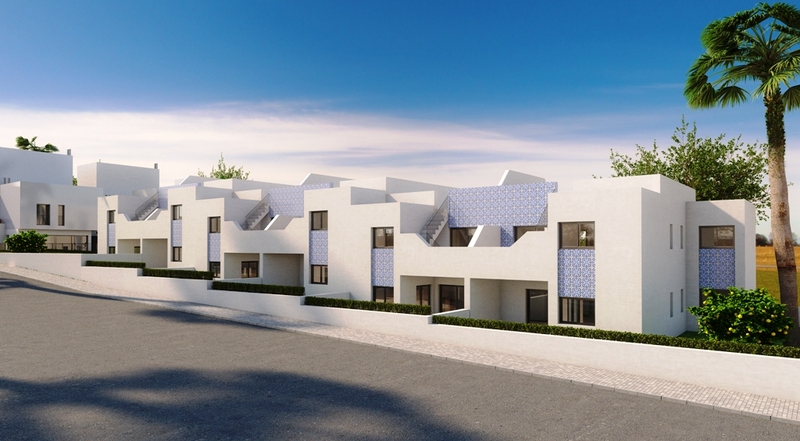 These modern townhouses are in a great location only 150 metres from the blue flag beach of Torre de la Horadada. 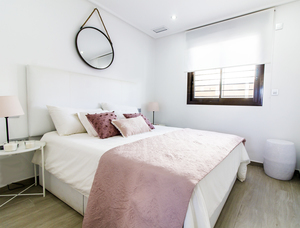 Torre de la Horadada is a beautiful area and the population consists of Spanish and Western Europeans and also boasts its own marina, plaza, beaches, amenities and a seafront promenade.